The Animal Care Group of Lake Oswego is committed to promoting healthy practices for our clients, patients, community, and the planet. 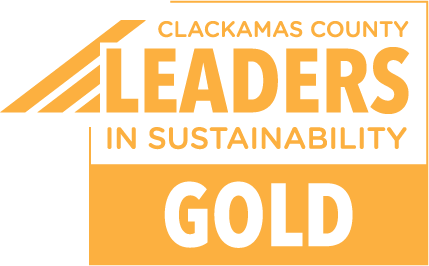 We’re a recognized sustainability leader with an official Green Team to develop and manage sustainability efforts across our organization. As a client, you will most likely notice these practices in our efforts to provide paperless billing, e-mailed records and receipts. In the community, we act as mentors to other businesses who wish to become sustainability leaders, and we donate unused and unsellable supplies to local organizations who can benefit from them. We also offer incentives to employees to use public transportation and encourage our clients to use it as well. Click here to access the Tri-Met Trip Planner. In addition, ACGLO supports sustainability principles by giving preference to ecologically, economically, and socially sustainable products, services, and practices when and where such options do not conflict with our professional standards or diminish our quality of care for clients and patients. Click here for complete details about our sustainability program.